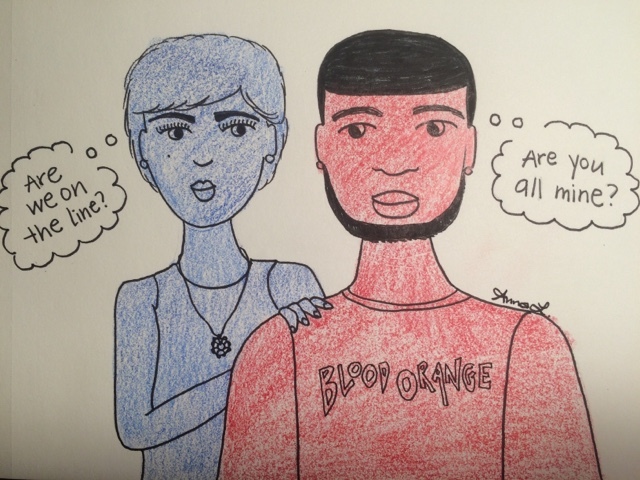 As I listen to the music, this drawing is I nspired by Blood Orange's album Cupid Deluxe (2013). The lyrics are sad, but the nu-disco beats make for a feel-good album. Super inspiring too, for me anyway.